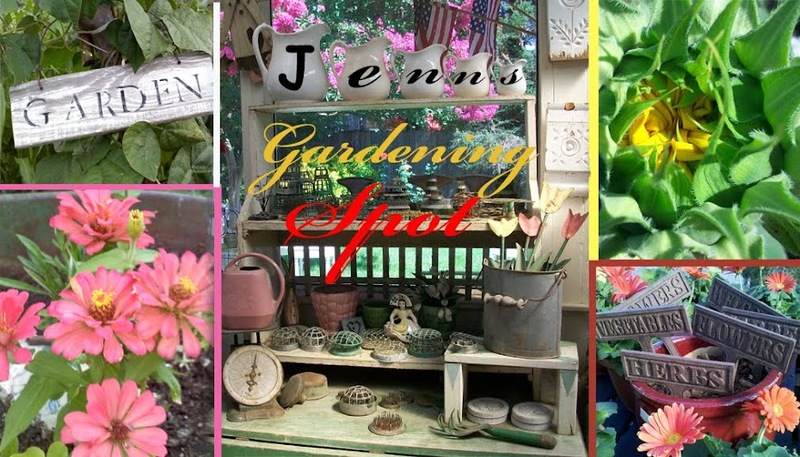 Jenn's Gardening Spot: Seed Starting, my favorite time of year! Excitement builds, as it is my favorite time of year! 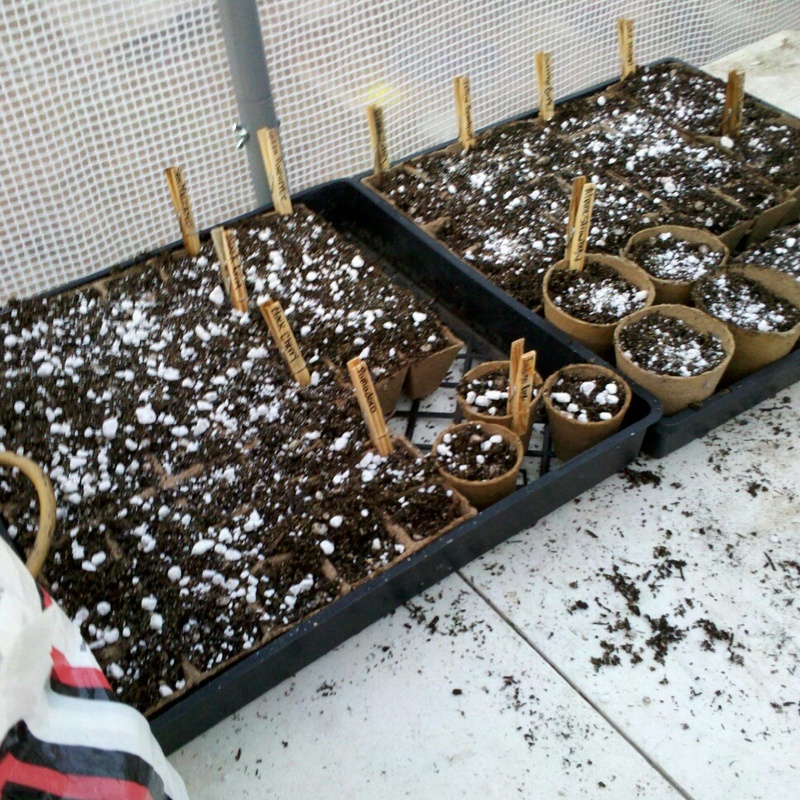 Seed Starting!!!! Starting seeds to me means a new start and great possibilities! I do love growing from seed. Every year I like to try a few new varieties as well. 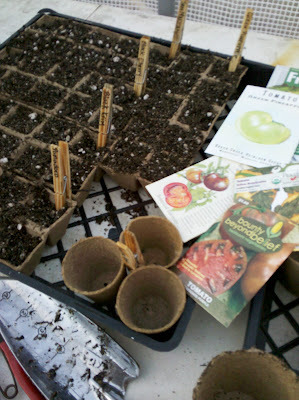 This year I am gearing up to grow about 100 tomato plants. No more then 150 at most! 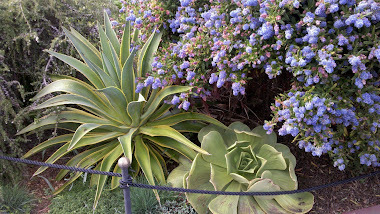 I realize it seems like a ton of plants, some are are for me, some for school gardens and I will be selling a few. Seed starting has become a passion. Researching different blends for starting seeds. Finding the right blend to suit me. I know I know, some people just go out and buy a pre-blended bag of seed starter. I too, used to do that once upon a time. As I realized over time I get more bang for my buck by making my own blend and twice as much. Many people make blends to suit what they like and the medium that works for them. Seed starter blends are fun to make. It is almost like baking, mixing all your ingredients to make that perfect cake. All the ingredients I am mixing up will give your seeds a great boost into a seedling life until they become beautiful starter plants for your vegetable garden. Medium size containers work well for mixing up your blends. Make sure the container you are using is clean. I use a small shovel for measuring. Eyeballing how heaping the portions are! The reason I add worm castings is to add some nutrients to the seed starter mix, an extra boost. I have also used rabbit poo in my seed starting blend as well. It is really just a matter of what you like! Mix really well. 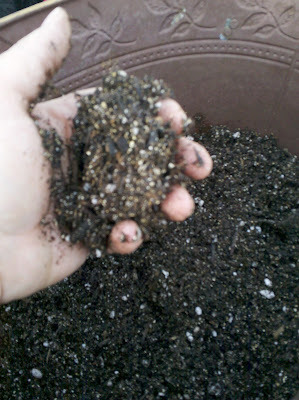 then moisten your seed starter mix unit you can make a ball of soil in your hand and it crumbles loosely yet still holds form. 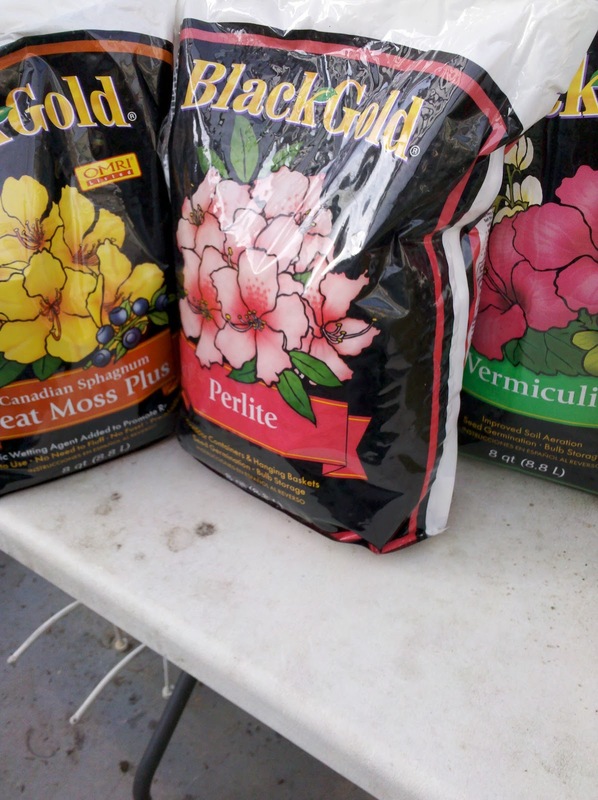 Your starter mix is ready for the next step, filling the containers you will be using to start your seeds in. I am using these up from last year. They work pretty well. A variety of tomatoes are being planted with this batch of starter mix. Some green, red, yellow burgundy and orange tomatoes. I like variety. Remember to label what you are planting. I use clothes pins and clip them on to the ends of the rows. I am planting 2 rows of each tomato. 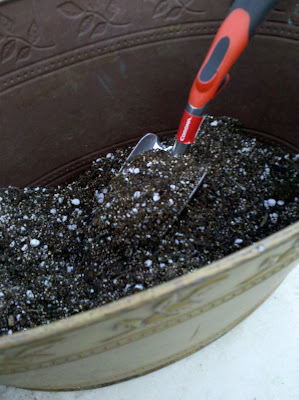 After I have planted all my seeds I sprinkle a little bit of perlite across the tops of my seeds. This helps with drainage and protects my seeds.. I then lightly water my seed starts. I am growing my tomatoes in my greenhouse. A greenhouse allows me to get a head start on the growing season and keeping my seedlings safe from the elements. 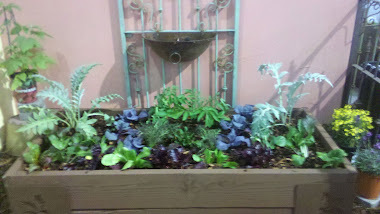 Do you have your own blend of seed starter that you make! Have you ever thought of making your own? Give it a try. 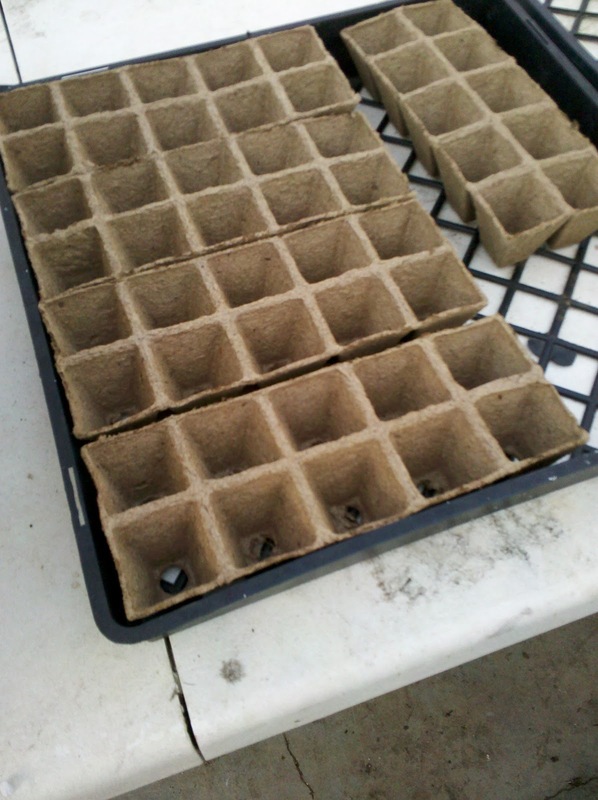 Another great way of getting your seeds off to a great start. Grow baby grow! I Love following your seedy shares on Instagram and Twitter. Can't wait to see the harvest.